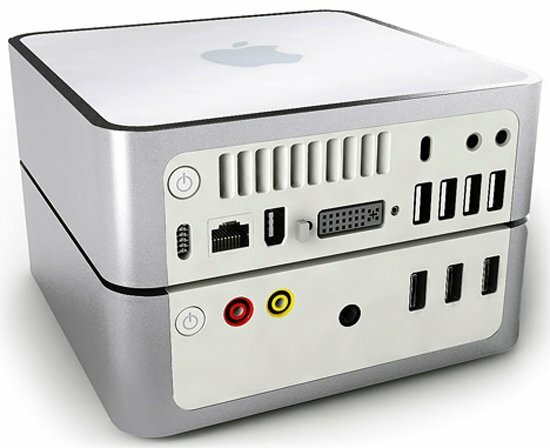 Here is an interesting design concept from designer Sebastien Sauvage, the Apple Mac Mini Radio Dock, which certainly would not look out of place with your Apple Mac Mini. 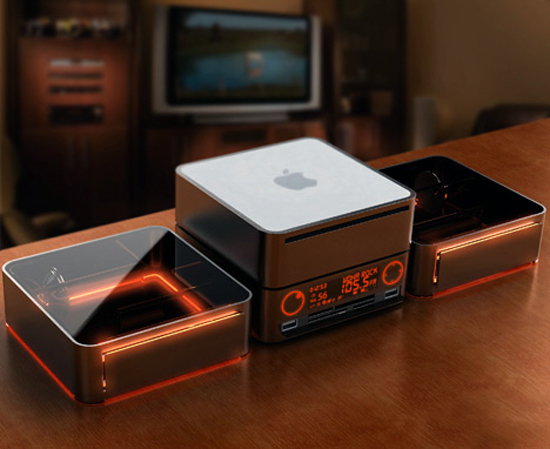 The Apple Mac Mini Radio Dock is designed to dock with your Mac Mini, and adds on an Internet radio and speakers. It certainly looks like an interesting design, and would look great on anyone’s desk or in your apartment, it is just a concept at the moment, I wonder if it will go into production.